The way the UCL Guild works is very simple. The different societies collaborate to host a variety of academic events and socials. Over the past year, we were able to host over 60+ events ranging from speaker events to interactive workshops. Furthermore, every year we have the opportunity of hosting influential speakers from a diverse range of industries and backgrounds, but there are some events that define who we are as a society. Here are the flagship events we host, alongside some insight into what they entail. The UCL Finance Conference is the largest and most prestigious student-run conference across EMEA, hosting top delegates and speakers from across the world. The event has served as a vibrant and educative platform since its inception in 2010,connecting ambitious students with industry leaders, through a day of presentations, workshops and networking sessions in collaboration with our sponsors. With over 5,000 combined social media followers and 10,000 past applications, the UCL Finance Conference brand has grown to be more renowned than ever. DECA is a one day individual case study competition where students get an opportunity to tackle business case studies and are given feedback on their performance by experienced professionals from the industry. Beyond the case study sessions, UCL DECA aims to increase students’ employability via various workshops and seminars delivered by our partners and ample opportunities to network with judges and exhibitors throughout the day. Over 100 students attend DECA every year, winners of the competition have gone on to work at top companies such as IBM and Bank of America Merrill Lynch. The UCL Business Game is designed to reveal & develop individuals capable of making a difference in business, now and in the future. The UCL Business Game brings together industry-disrupting enterprises with 80 of the brightest young minds from all around Europe to solve real business challenges, The UCL Business Game aims to challenge participants in a manner far beyond what they might experience in a typical academic setting. The aim is to provide them with practical, hands-on experience of work in business/ consulting/ marketing , as well as to give them networking opportunities with people from the world’s biggest companies. The Share The Vision Conference serves to fulfill the society’s purpose - to provide a platform to educate, equip and empower women who wish to enter the finance industry. Yearly, our event is hosted at world-leading institutions, making it an invaluable opportunity for our members to immerse themselves in the host institution’s culture. Previously held at Nomura and Credit Suisse,, we will be able looking to continue this tradition of hosting our flagship event at another world-leading firm. The conference typically involves a company delivered presentation, a panel discussion, a Q&A session and multiple networking session. As a society we're not just focused on providing the best academic events at UCL, we also provide unmissable social events. With multiple sell-out events, classy dinners, trips, ice skating, bowling, casual drinks and lots more, we've got everything you need for that complete university experience and the perfect opportunity to meet people from different years, degrees and backgrounds at UCL. Here are some of our famous socials but stay tuned to our social media for more great events. 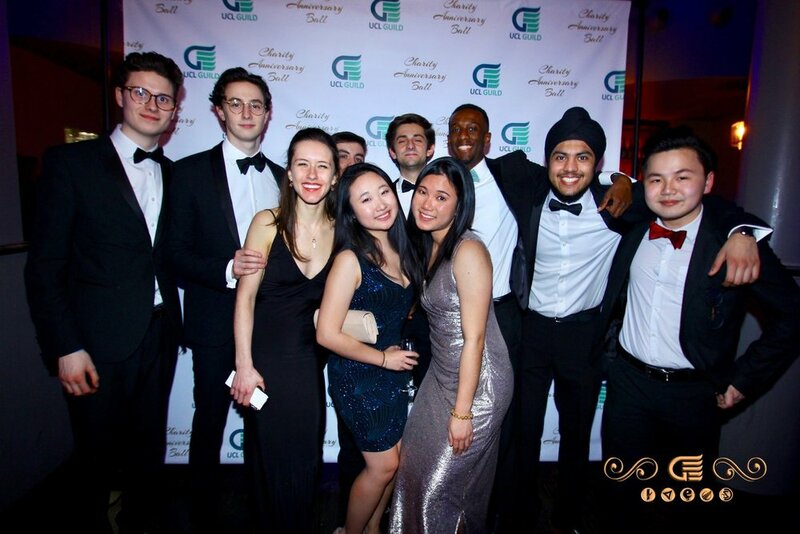 At each of our annual Charity Balls, we celebrate the success we've made as a society but we also celebrate our fruitful partnership with A21. UCL Guild resonates with A21’s mission to fight against modern slavery and human trafficking through a sustainable Reach-Rescue-Restore approach. We show our support by donating part of the Charity Ball ticket revenue to A21. join us at one of London’s most stylish clubs for a lavish Three Course dinner reception. There will be a professional photographer and photo booth to capture the night in style. Come party with us as we cruise along River Thames on one of London’s BIGGEST party boats, Dutch Master. With 3 LEVELS, 2 BARS, FREE PROSECCO, and GAMES where you can win a bottle of champagne FOR FREE, this is promised to be a cruise to remember! The fun doesn’t end right there! After Dutch Master, we will move our party to one of London's most prestigious clubs. Drinks will be cheaper on the night for our students, and entry will be FREE !!! Brought to you by our very own Women in Finance Committee, we will take you around a famous city in the world to explore their landmarks. Your ticket covers your accommodation, flights, most of your transport around the city and various activities in the city. Since starting in 2015, we've been to Zurich, Milan & Paris. From sightseeing, to educational trips, to the best nightlife, we've got everything covered. Our trips are for all years, all degrees & genders, so if you're looking for a great time or a short break? Be sure to come along! Winter means it's time to get your skates on! We are inviting you to a grand ice skating session. After skating, we will head to an luxurious bar, where we have booked a private cellar bar just for us. DRINKS ON ICE! Things can only end well! If skating isn't for you, you can still come along with us to the bar for a great night out! Subscribe to our newsletter to recieve updates on our latest events.